Glass for Multi-fuel Stoves, Oven Doors, and Wood Burning Stoves. Here at Sear and Cowen Glass & Glazing Ltd we can cut finished Robax glass to your specifications and deliver direct to you. We will not be beaten on price so please contact us via telephone or e-mail with your requirements and we will quote promptly. SCHOTT ROBAX® - your one stop glass for high tech transparent glass ceramic for fireplaces and stoves. ROBAX® is an extremely heat-resistant, transparent glass ceramic available in a variety of shapes and sizes to meet your specific needs. It offers you all the advantages of a true temperature phenomenon. Thanks to its extremely low thermal expansion, ROBAX® glass ceramic will not shatter in normal use and is not affected by extremely high temperatures or substantial temperature shifts and differences. ROBAX® is designed to operate at temperatures ranging from -400F to +1400F. ROBAX® has proved a reliable window for room heating devices for fireplaces and stoves for more than 20 years. Friends and family can now enjoy the dancing flames and cosy warmth of your stove whilst reassured of the ultimate level of safety for all. For any other application you may require, please call for advice. 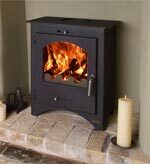 ££ Please note that we specialise in ROBAX® glass ceramic for your stove, oven door and other heat resistant uses. We WILL NOT be beaten on price and can dispatch very promptly. Contact us today for the most competitive quote!